Oh hey there perfection under $50. 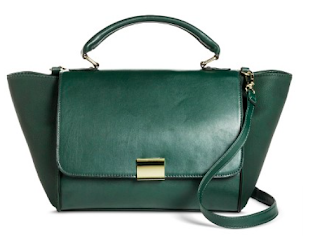 This color isn't quite winter enough for hunter green but not spring enough for emerald. It's a happy fall medium. 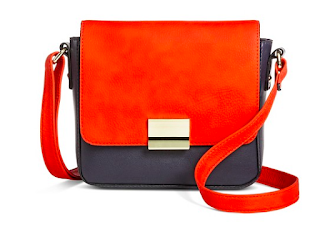 Personally I'd tie a pop of orange or yellow to this bag in the form of a silk scarf. But then again, a simple polka dot is pretty chic for fall. 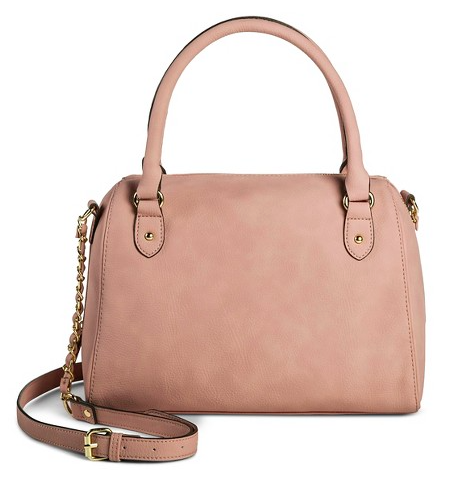 Ladylike, feminine, insert the adjective, it doesn't matter, this bag is gorgeous. 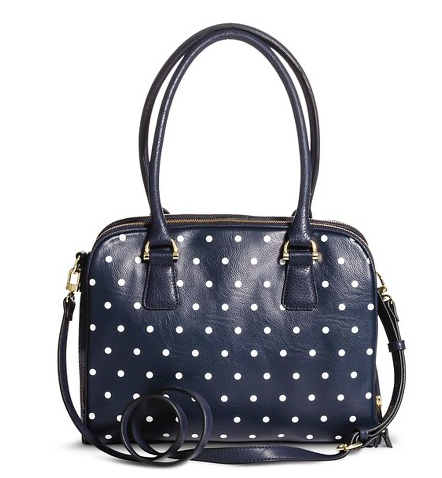 Very retro for fall which is quite hot right now. I love the mix of colors with the clean lines. If you haven't been there recently, I suggest you get to your nearest Target asap. These bags and so many more are ready to live in your closet and not break your budget!